What’s old is new again with an updated twist. 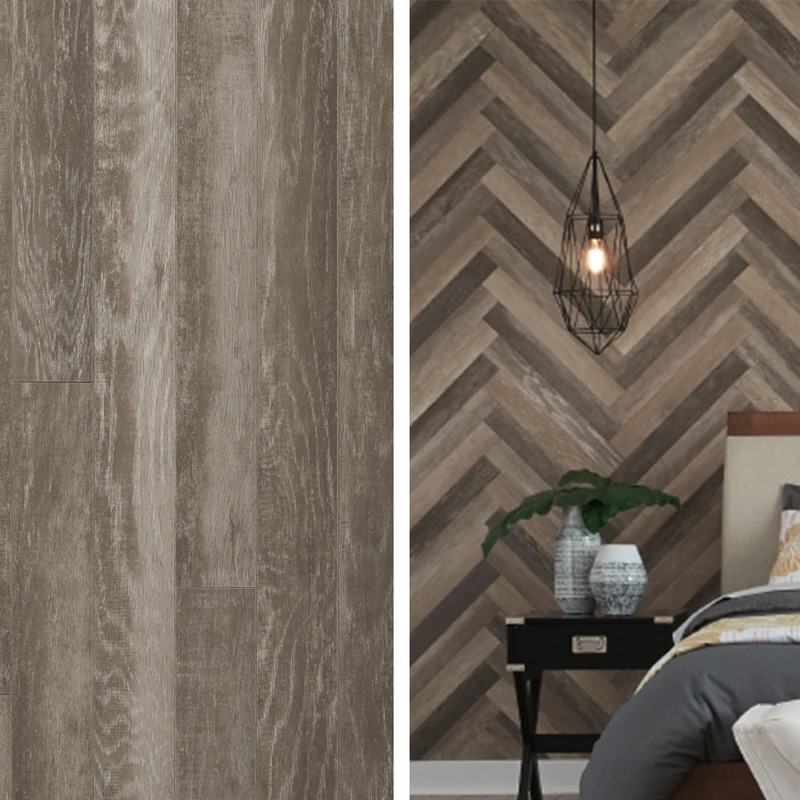 Carriage Oak captures the essence of worn painted wood from vintage carriage houses with an updated contemporary color palette. This wire brushed 3” oak features a beautiful color staining technique that creates a distinctive painted weathered effect making this product truly unique. Carriage Oak combines historic ambiance with fashionable colors that will create a statement in any room in the home. 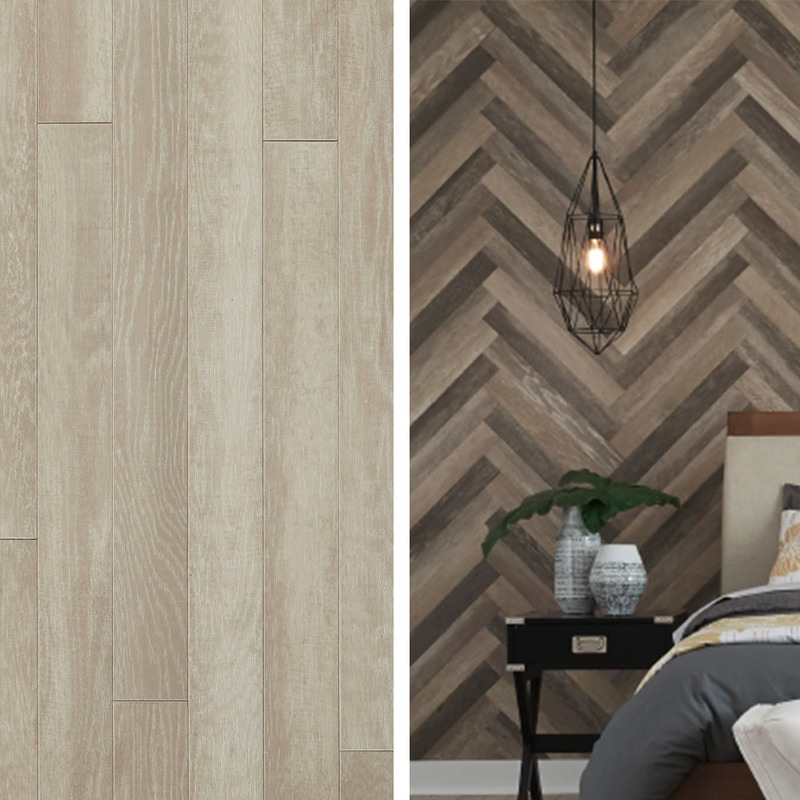 Carriage oak is ½” thick, made in the USA, and is featured in both a plank and herringbone format. In this photo, the wall features the herringbone format and uses all three colors, Stable, Forged Iron and Haystack to achieve this unique look.